The French champions were keen on pursuing a holding midfielder during the winter period and they eventually landed Leandro Paredes from Zenit St Petersburg after missing out on Everton's Idrissa Gueye. However, according to Le 10 Sport, the Ligue 1 holders are still keen on signing Kante from the Blues and they are prepared to test the club's resolve with a fresh approach in the summer. Kante has failed to feature in his familiar holding role under Maurizio Sarri and this has recently spread the speculation that his relationship has soured with the manager. Still, the World Cup winner won't come on the cheap for Les Parisiens, given he is currently tied to a long-term contract which only expires in the summer of 2023. 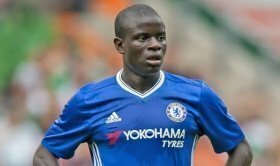 Kante should feature for the Blues during the upcoming gameweek where they are scheduled to face Manchester City on the road. A defeat in the Premier League clash may drop them out of the top four.